The Quartz Pillar Candle Gift Set pairs a milky translucent glass vessel with the refined and musky aromas of ambrette, cypriol and pink pepper. No two vessels are the same, with each made from a gob of glass that is hand pulled, pressed and stretched into an unexpectedly complex and unique container. 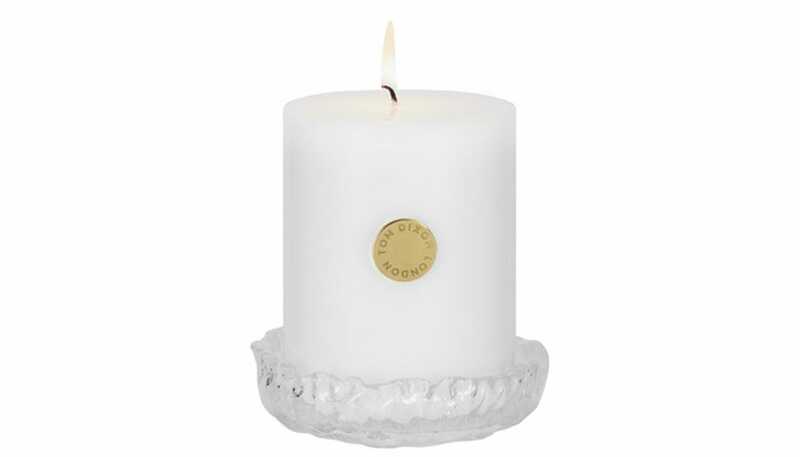 Made in the UK from 100% paraffin wax, each Quartz candle contains 8% fragrance - a much higher level compared to the standard 1-3%, meaning the scent is stronger and will last longer.